Imagine pressing play and reclining back in your seat as the lights dim, curtains close and your movie automatically starts. Watch as your favorite shows and movies come to life in your very own favorite leather chair. We will create a custom solution from the planning stages, work through installation, and finally train you and help maintain your system for years to come. Our expert staff will help you determine your needs, work within your budget, and create a space that is truly unique and pleasurable to every member of your family. We provide our services during Home Renovation projects, New Construction and Existing System Enhancement and Expansion. We offer customized and predesigned solutions including Theater installations using the latest Laser and LED projectors and video walls. Entry-level and premium surround sound systems form the top brands in the industry to achieve any desired result. Memphis Home Theater also provides home automation systems, energy management through HVAC, Lighting and Shade control, distributed home audio and HDMI video, wifi and home network, cellphone boosters and many more home technology services. Since 1998, Audio Video Artistry has been the mid south leader in entertainment and control systems for the luxury residential market. We place a high value on quality & a positive client experience. Sound Concepts is Northeast Arkansas' elite home audio/video specialist. Whether it is Audio, Video, Home Automation, or all of the above, Sound Concepts will walk you through every step of the process. If it can be done, Sound Concepts can do it. If you're in the market for residential or commercial hi-fidelity audio, high definition video, or total automated integration and ease of use, then Sound Concepts will guide you on the creation of your new Digital Home. Sound Concepts is a national leader in home automation with services ranging from audio, video, home theater, lighting, security control, and much more. Audio Video Artistry was started in 1998 by Chris Rogers and Brad Parsley. Having worked at other audio/video dealers, they envisioned a company that put reputation above profit and allowed for creative freedom in the implementation of technology. All these years later, that vision is realized daily at the mid-south's leading custom integration company. We remain focused on FIVE KEY PILLARS in order to guarantee success in every project: 1) Attention to detail 2) Aesthetic design 3) Ease of use 4)The best brands 5) The best people We would love to help you with your visions of technology integration in your home. Give us a call today to set up a consultation! Design & Construction of Whole Hose Audo Systems and Home Theaters. HomeTroniX is the leader in professional automation, control, media distribution and lighting systems. 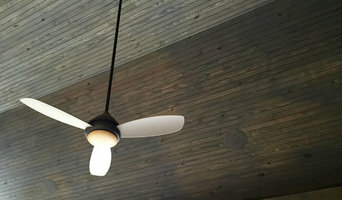 We specialize in transforming your ideas and vision into an electronic reality that will improve your home experience. Since 1994 Phoenix has been the solution to a home designed to the lifestyles of today while preparing for the lifestyles of tomorrow. We specialize in providing true engineered solutions, proven and reliable, with accurate pricing for Home Theater and Distributed Audio and Video, Lighting Control, HVAC Control, Specialized and One-Off Solutions to meet our clients’ needs, wants, and desires; all while exceeding their expectations. For over 17 years, all of us on the team at Phoenix remain dedicated and take pride in our integrated systems designs, installation, service and support. Making our clients our number one priority is why we have been consistently ranked as a top integrator by the industry through trade publications, manufacturers and trade association publications and numerous awards. We have a rare combination of engineers, systems designers and installation technicians to provide creative designs, systems integration and flawless control of your home systems. All of our work is backed by our unique, long term client commitment, the Advantage Program. 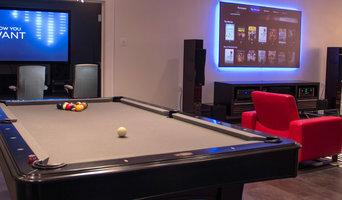 Phoenix is headquartered in Memphis, TN and primarily services Memphis and the surrounding areas of Germantown, Cordova, Bartlett, as well as Olive Branch and Southaven in Mississippi such as; but we have also done installs around the country for clients who would only settle for unequaled home entertainment. Affordable Audio Video Solutions prides itself on making your audio/video purchase as affordable as possible. We are 1/2 the price of our competitors. We are a family owned and operated business with over 18 years experience in the audio/video field. Not only do we help you with the purchase and installation of your equipment we also make sure that you throughly understand how to operate the equipment that we install. Digital Theater Designs only uses quality equipment and supplies. Some of the companies we represent are: RTI (rticorp.com) Industry leading integration products PSB Speakers (psbspeakers.com) Absolutely the best performance per dollar of any product available Panasonic Professional Dislays for commercial applications and demanding residential applications Samsung TV's Speakercraft Marantz Electronics Perfect Path Cables -Chosen as the preferred connections for some of the industries largest companies. Audio-Visual Systems: Consulting, Design, Sales & Installation for Commercial & Residential Applications. Invisible Stereo, founded in 1976 by Maurice Boughton, prides itself in designing and installing the most affordable and unique audio/video systems today. We have systems that fit every budget, from the very basic to absolute state of the art home theater systems. We service Memphis, Tennessee and surrounding areas, and have a dealer network located across the country. We can offer you a complete solution for your home or business audio/video needs. We offer everything you need for every stage of your project, including complete system design, component purchasing, and installation. At Invisible Stereo we have the ability to purchase your audio/video components at very competitive prices, which we then pass on to you. We don’t carry the cost of an expensive storefront, therefore these savings can be passed on to you, resulting in significant saving compared to our competitors. Our audio/video system designs have been featured around the globe, including many special projects in Europe. Call us today for a free consultation, we’ll show you how to have a first class system for budget pricing. Electronic Environments, founded in 1998, is a company that specializes in custom installs for your home or office. We offer many services to ensure your home is the perfect ‘electronic environment’ for you. If you're the kind of person who loves hosting parties where guests watch the Oscars, the Super Bowl, or the latest sitcom, putting the time and effort into creating a cozy media room or theater in your Memphis, TN home could be a good investment. But unless you're a wiring and surround-sound guru, figuring out the technical issues can get a little messy. That's where a home media designer comes in. Home media specialists not only can design the seating and decor for your dream home theater, but most of them can help you find specific media control options, conceal your television and various accessories, set up optimal seating, choose and install ideal lighting, and help create the ultimate viewing environment. Some of these Tennessee professionals work entirely on their own, while others work with subcontractors to get the job done. Here are some related professionals and vendors to complement the work of home automation & home media: General Contractors, Interior Designers & Decorators, Paint & Wall Covering Dealers, Furniture & Accessories, Specialty Contractors. Find a home media designer on Houzz. Narrow your search in the Professionals section of the website to Memphis, TN home media designers. You can also look through Memphis, TN photos by style to find a room you like, then contact the professional who designed it.